For some reason I like this expression a lot and the imagery that goes with it. 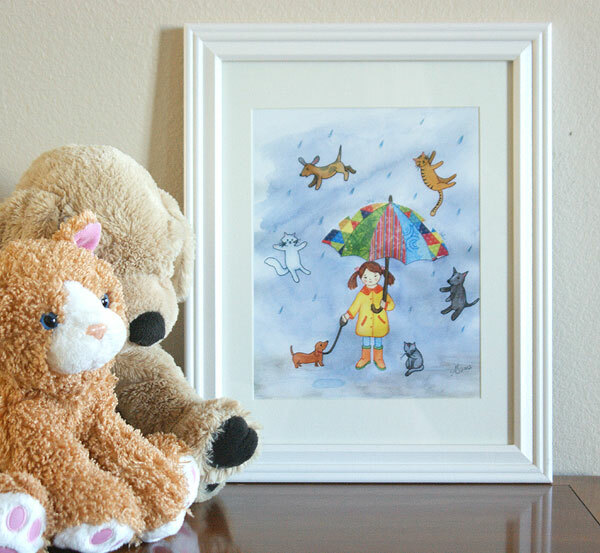 Now you can see what I see in my mind when I think, “it’s raining cats and dogs”! This quirky illustration is available in my Etsy shop. 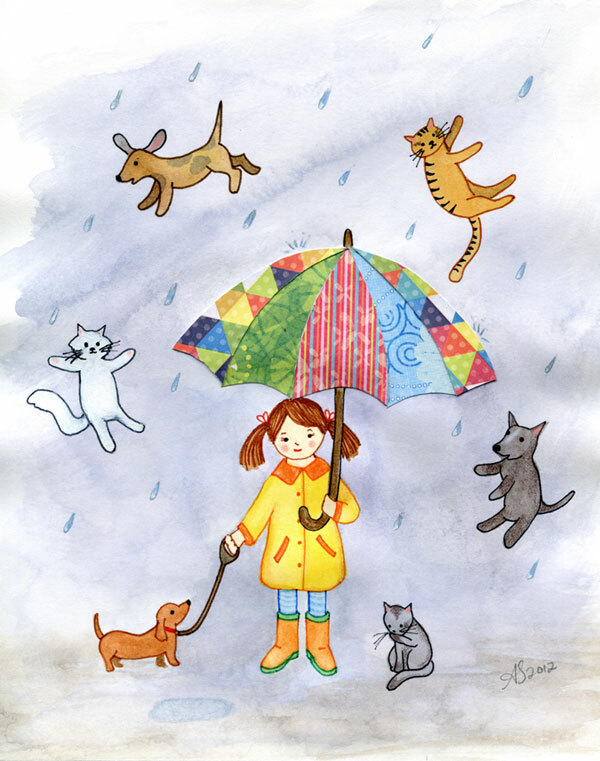 The original artwork is done in watercolors, pen and I did the colorful umbrella as a collage out of scrapbooking paper. I love how the collage has a 3D effect even as a print!